I have been after a primer for ages. I use a primer because I find it that it really helps to keep my makeup etc in place because I have oily/combination skin. Some people say that primers aren't really important and not really worth it but some say they are. I like using a primer because my theory is that it almost acts as a protective layer. My first primer was by No7 which was really terrible and I didn't get on well with it. I have a Smashbox photoready one which I love and I blogged about the sample I got here but I only use that sometimes as it's very illuminating. 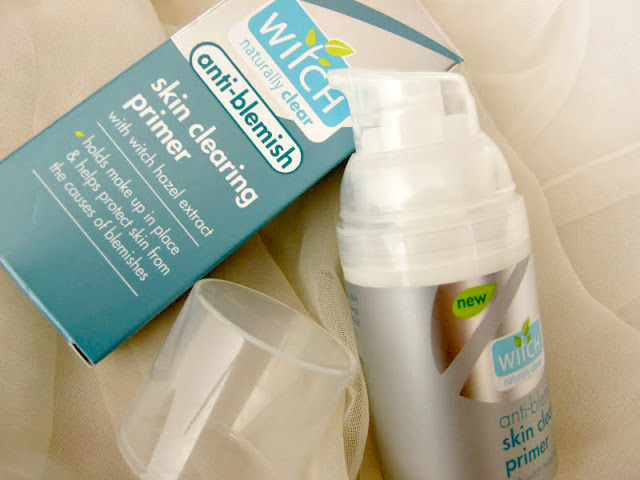 I love Witch as a brand and love that they cater to people who are prone to blemishes. I found out that they also have a primer and so I got one after testing it out in Superdrug and I really liked the texture at the time. "Witch Anti-blemish Skin Clearing Primer is designed to help prepare your skin for foundation by mattifying and absorbing excess oils, providing a smooth, silky base that helps you achieve an even and long lasting finish with any foundation or powder. Added to this, it also helps prevent and target blemishes by protecting skin from the layers of make-up, which can cause or aggravate blemishes. To began with, I really like the packaging of this product. It looks really good and I love that it has a pump dispenser which makes the application really easy. I only use one pump but it's up to you how much you need. It then drys and gets absorbed into your skin and your foundation is ready to go on. It holds your makeup for a good amount of time and smoothens the surface of your skin quite nicely on which your foundation or concealer goes on evenly. I didn't experience any smudging or any budging which I normally do as I have oily skin. The texture of this is really smooth too. It looks like clear white liquid at first but once you start to apply in it becomes transparent. The consistency of it is quite good too; not to thick nor too runny.It's also quite a good moisturising primer so at times you don't really need a moisturizer to be honest. It makes your skin appear brighter and much more even. My T zone is less oily the whole day as well as being matte. Now to the actual reason for why I was really interested in this product. 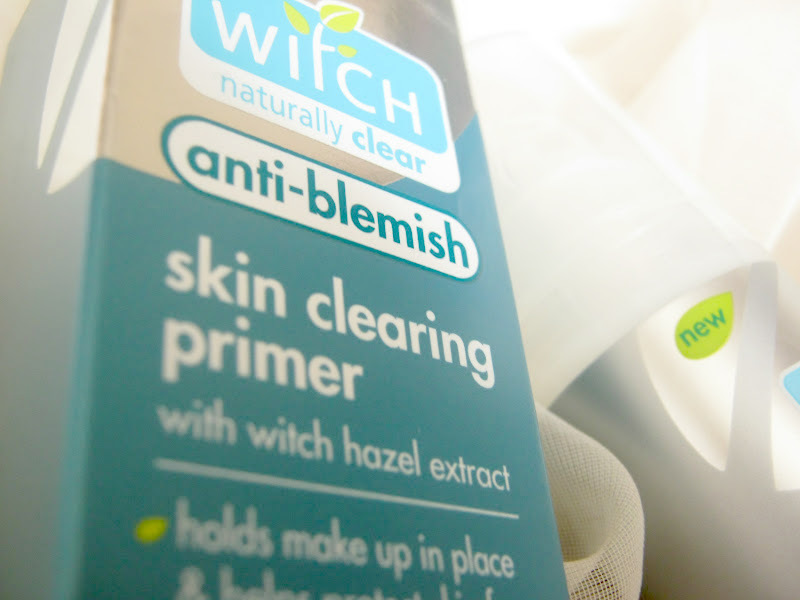 It claims that it is a skin clearing primer. I would say that it has definitely helped with my blemishes. I don't use foundations a lot as they break me out but after using this primer I did test out some foundations and no blemishes occurred which I was really happy about! It helps your skin by reducing any redness or discoloration. It doesn't magically make your present blemishes disappear but actually reduces the chances of any more from occurring. The chances of any spots or breakouts would be very less if you use this as a base. It almost acts like a barrier for your skin. Its fragrance free which is great for sensitive skin types as well being oil free. I will continue to use as I have no problems with it and it does the job really well! I would recommend you guys to test it out and take a look if you have blemish prone skin as for me it really did help stop any spots or blemishes from occurring. Have you used this primer? I really enjoyed this review! 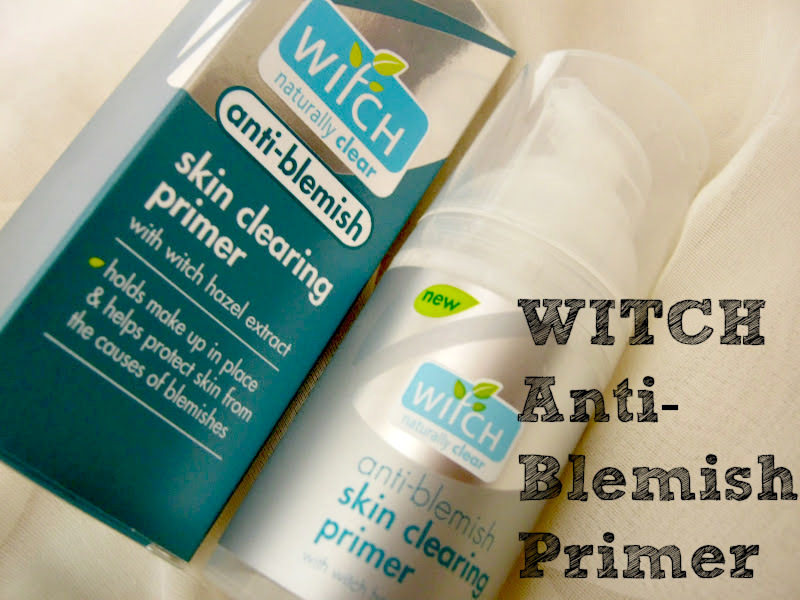 I love Witch products and I had no idea they'd brought out a primer! I use a primer everyday so I definitely want to try this after your review.